A brief review of the works devoted to studying the photonuclear reactions near the threshold at the LUE-8.5 MeV linear electron accelerator of the Institute for Nuclear Research of the Russian Academy of Sciences and the terawatt femtosecond laser complex of the International Laser Center at Moscow State University is provided. The main focus of attention is the simulation of the experiments using the GEANT-4 code. This allowed us to compare the possibilities of different methods and determine the main directions of future research. This work was supported by Russian Scientific Foundation (project no. 16-12-10039) and in part by the Russian Foundation for Basic Research (project no. 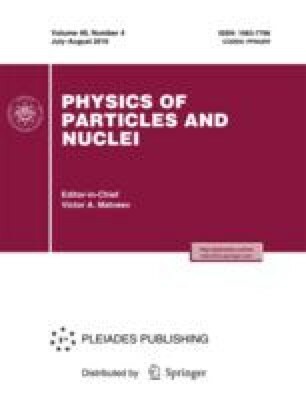 16-02-00213) for the study of positron generation by an electron beam.The authors are grateful to the scientific group that participated in the experiments, in particular, to the researchers of the Institute for Nuclear Research of the Russian Academy of Sciences, A.A. Rusakov, A.M. Lapik, S.V. Zuev, E.S. Konobeevskii, N.M. Sobolevskii and the researchers and students of Moscow State University, K.A. Ivanov, R.V. Volkov, S.A. Shulyapov, and I.N. Tsymbalov who have provided the overwhelming majority of the experimental and calculation results presented in this paper.